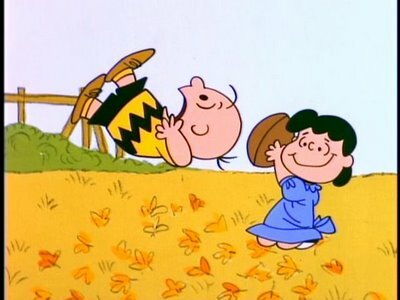 One strip opened with Lucy holding the ball, but Charlie Brown wouldn’t kick it. Lucy begged. But Charlie wouldn’t budge. So Charlie stepped back. Lucy held the ball. And Charlie ran ready to kick with all his might. Once again at the last possible moment, Lucy picked up the ball and Charlie Brown fell flat on his back. Ah, so true, Lucy, so true! How many times in the past several years has a scene like this played out on the national stage. An athlete is discovered breaking the rules and creating an unfair advantage over his competition. A politician admits to some misleading statements. An audit reveals that the CEO of a major company has misappropriated funds. A respected national leader is caught in an affair. At first there is denial. Sometimes vehement and vicious counter charges against those that would dare to question. Time goes by. The truth begins to trickle out. Reasons are suggested. Excuses are given. And then apologies are offered that begin with phrases like this. “If I have offended anyone…” “I was caught up in the culture….” “Everyone else was doing it….” “I didn’t get the memo….” “I may have done ____, but at least I didn’t do _____” You get the picture. And we’ve heard it all before. The names change, but the stories are the same. Why not call these actions for what they really are? Lying. Cheating. Stealing. Adultery. Hypocrisy. My point in today’s post, however, is not really to question the sincerity of apologies by those in the spotlight. Or to curse the darkness. Or figure out a way to change our culture. The real issue for most of us, is how do we handle the truth? How do we face our faults? How do we admit our sins? And are we willing to change our ways? The character flaws of celebrities becomes national news for all of us to see and hear. But similar situations are discovered day after day in homes across America that will never make the national news. Sometimes in Christian homes. God calls for us to genuinely repent. To honestly confess our sins. Earnestly ask forgiveness. And sincerely seek to change. (Luke 13:3; Acts 17:30; James 5:16; Matthew 6:12-15; Colossians 3:5-15). I am the most difficult person I deal with every day. I hope to be more like the Charlie Brown character than the Lucy character when it comes to doing the right thing. It depends on how you see your truth. If you don’t believe that you’ve done wrong then nothing is going to get you to change. If however you acknowledge your faults and want to make amends / change your ways then that is the first step. This is so true. Like the way you explained that. I am going to hav to agree with Dot on this one. If you see it from your perspective an do not view it as wrong, you will not change. Thanks for a great and insightful post!